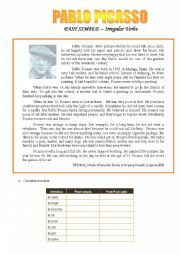 A worsheet with a simple biography and pictures of some of Picassos´ works. A consolidation of 8 irregular verbs. Sentences to complete with the Past simple, and to write in the affirmatice and negative. I used this both with my young pupils as well as with my adult beginners. Hope your students enjoy it too!!! A full test for portuguese 7 graders. Text with comprehension, use of English (Present simple and continuous, past simple, there to be) and Writing (my best friend). Hope you find it useful. A test on FOOD. Comprehension questions, grammar on Present simple and continuous, quantifiers, can, have got. Small composition on favourite food. Hope you find it useful!! A test on HOUSES - Buckingham Palace. Comprehension questions, grammar on past simple. Writing dates in full. Small guided composition using comparatives e superlatives. Hope you find it useful!! 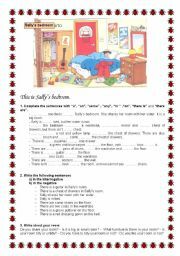 A ws about the Bedroom - specific vocabulary; there is and there are; quantifiers. Also some sentences to put in the interrogative and negative and finally a GUIDED COMPOSITION. Hope you find it useful!! 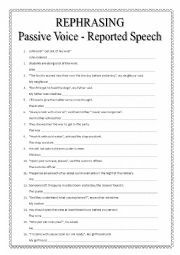 For students who have some difficulty understanding the Reported Speech. I made several WS which go step by step. This one is on verbs which take an auxiliary. I hope you find them useful. 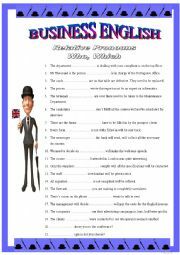 A SECOND worksheet on Business English (BrE)that I prepared for my adult students. A ws to practise correlatice conjunctions at an intermediate level, in a business environment. Just as the previous one I intend to use it also with my teens. Hope you find it interesting and useful, too!! Cheers!! 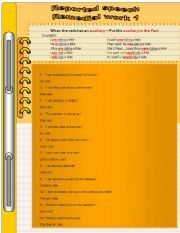 Worksheet nr 5 on Business English (BrE. A ws to practise QUANTIFIERS (some, any no)in a business environment. Just as the previous ones I hope you like it!! Cheers!! 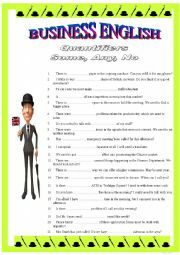 Worksheet nr 6 on Business English (BrE). A ws to practise the RELATIVE PRONOUNS WHO and WHICH in a business environment. Just as the previous ones I hope you like it!! Cheers! !